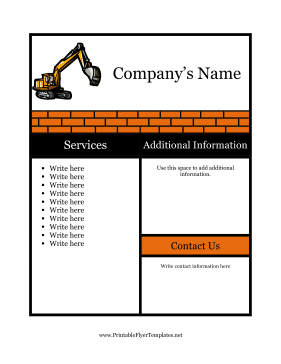 A clever brick-themed layout will be sure to delight all your potential clients when you use this construction flyer. No matter what construction services you use, the machinery and building imagery on this flyer will be sure to grab the attention of passers-by. You can even list your services in convenient bullet point form!